Quality Garden Supplies Ltd supplies trade customers throughout the UK with quality landscape supplies from a few bags to bulk loads. 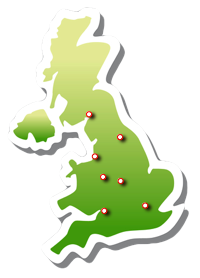 We can deliver Next Day Nationwide! We supply topsoil, soil improvers, barks and aggregates in bulk loads from 10 tonnes to 10,000 tonnes to the landscape, forestry, agricultural and construction markets throughout the UK. Our experienced sales team will ensure all the products we supply match the purpose required, are the best available quality and at the lowest prices! We are proud of our excellent reputation for supplying quality products and service to our valued customers. Call us for a quote on 01785 850 653 or use the form below. Use the form below to send a quick quote request to our sales team, don't forget to tell us how much you require, your delivery postcode and what it is you need.